Briercrest came into tonight’s home opener in hopes of claiming their third straight win. Briercrest Women’s Volleyball Alumni joined the fan base tonight to be recognized for their dedication to the team over the years and to cheer on the team. 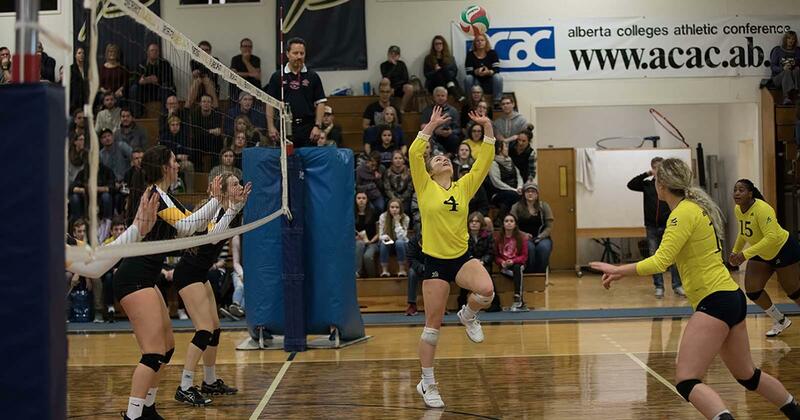 Briercrest Women’s Volleyball won over Red Deer College in 4 sets making for a riveting home opener (25-21, 25-17, 19-25, 25-23). The game started off with high intensity from both teams. Briercrest and Red Deer were battling back-and-forth, point-for-point making it a tight first half to the set. Briercrest kicked it up a notch and started to pull ahead from Red Deer forcing them into a timeout at 11-6. Briercrest kept up their momentum with Elicia Wiebe making a crucial block and Justin Collins following with a kill. Red Deer responded by closing the gap with a service ace and a block. Briercrest kept their defense strong and offense even stronger allowing them to maintain their lead though. Mia Harder locked in Briercrest’s first set win with a kill. The set score was 25-21. Red Deer came into the second set stronger and taking an early lead. Briercrest fought back though by making some key offensive plays, giving them a new lead. Both teams switched back-and-forth on who had the lead, but Justin Collins pushed the team to take a further lead with a service ace. Red Deer felt the pressure of Briercrest’s increasing lead causing them to take a time out. Red Deer rallied back by getting 4 points in a row to close the gap once again. Briercrest refocused and regained momentum after Red Deer made a service error. Briercrest continued to put the pressure on Red Deer causing them to call timeout once again at 20-16. Briercrest kept a tight defense which carried them to the end of the set and claiming it at 25-17. Justin Collins started the third set off strong with a service ace for Briercrest. Red Deer took an early lead though by making crucial offensive plays. Briercrest took an important timeout at 4-9 in hopes of being able to break up Red Deer’s momentum and start their own. Red Deer’s focus could not be broken though as Briercrest made too many aggressive attack errors. This made Briercrest take another timeout at 19-14. Red Deer stayed strong throughout the set making Briercrest unable to take the lead. Red Deer took the third set with a score of 25-19. Briercrest came into the fourth set in hopes of being able to claim their first home win of the season. Mia Harder started off the set with a service ace. Both teams made great plays making for another intense, close set. Briercrest started to take a small lead when Elicia Wiebe made a block followed by a successful tap on the next rally. Mia Harder then made a service ace sending Red Deer into a timeout at 16-14. With the game on the line, Red Deer fought back and closed the gap. Both teams battled point-for-point making the intensity rise. At 23-23, Red Deer knew they needed to start up a rally to stay alive. With a double hit from the setter on Red Deer, Briercrest was one point away from winning the game. Both teams started an intense, high-paced rally. When the ball was hit out of the court, Mia Harder saved it and then Red Deer hit the net on the return giving Briercrest the game point. Mia Harder was presented Player of the Game by Aryn Lesher who played for the team for 4 years as a starting setter. Harder had 1 service ace, team high of 7 digs (along with Justine Collins) and a game high of 12 kills. Ashley Erickson had a game high of 33 assists, Mikayla Benterud had a game high of 5 services aces and Kirsty Kindrachuk had a game high of 16 digs. Briercrest dominated the stats by leading in every category. Briercrest had 41-33 kills, 37-27 assists, 48-43 digs and 16-11 service aces. Come out tomorrow night to watch the Briercrest Women’s Volleyball try to extend their three game winning streak against Red Deer College. If you can’t make it, make sure to tune into the ACAC websiteso you don’t miss out on the action. 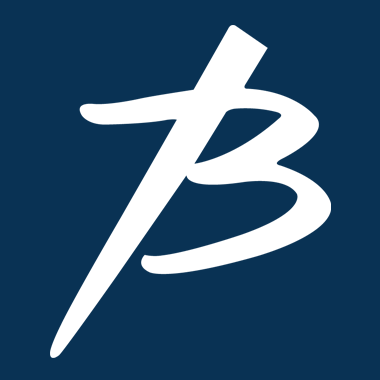 For up to date information on the Briercrest Volleyball teams and other Briercrest sport teams, “like” the Facebookpage.